I just bought these beauty products. 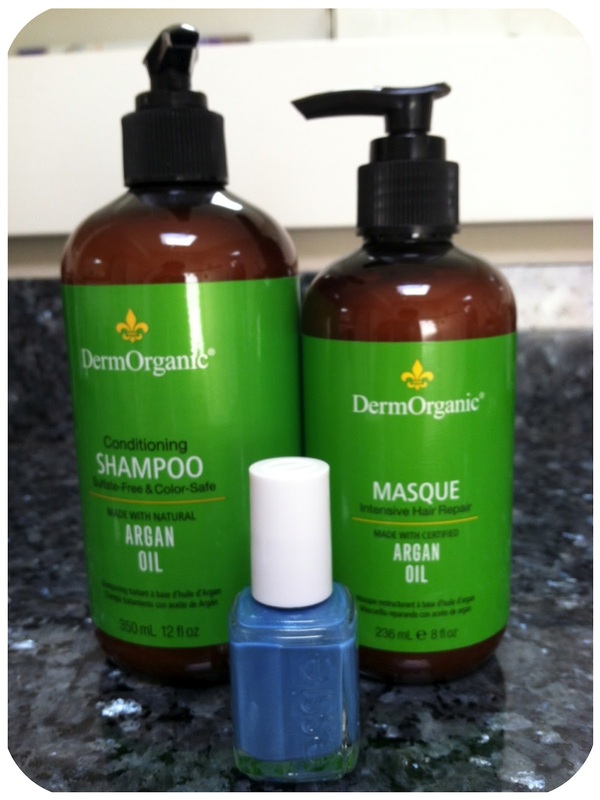 I wanted to try out the argan oil shampoo and masque by DermOrganics. The Essie blue is called Coat Azure. I've been buying and wearing blues and greens a lot lately.